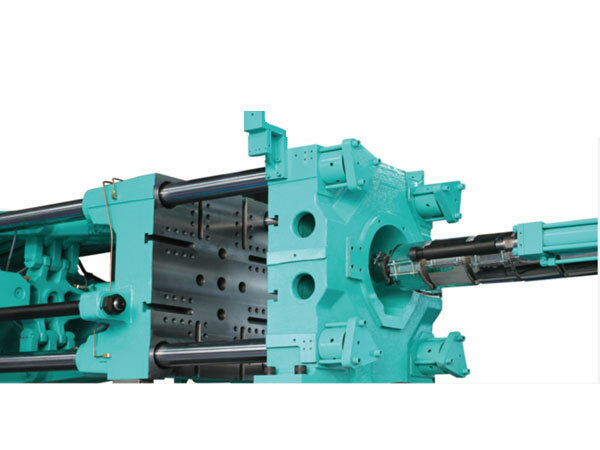 Clamping Unit – Emactra Machine Industries India is a leading manufacturers and exporters of industrial presses. Opitimized platen design with high rigidity and enlarged space between tie bars. European platen layout with both T-slot and tap holes. Locating design in moving platen is more suitable for various molds. New ejection system design with longer ejection stroke, bigger space and better rigidity. Hydraulic adjustment gear system makes molds adjust faster and more stable. Mechanical safety bar is for easier operation. Linkage structure of front connecting rod increases connecting rod’s strength greatly, as well as the whole clamping unit rigidity and accuracy.